It's a deal. Thanks, man! Ok i donated some bucks. My kids will eat dog food fir a week. Now play the real heady stufffffffff. I’m a swag for lifer, a swagger, a lifer. I wasn't paying attention. Jeff, did you say this Dire Wolves LP is a prize? If so please count me out of the running. I already have a copy! @Judy: this is my fourth year fundraising and I'm kinda still unsure what swag for life gets you, but thanks! All LPs. A 20-dollar pledge gets you in the running. How much to get the Sonic Youth cover of West LA Fadeaway? @Peter: 50 dollar pledge to continue the 80s dead jokes. Hey everyone...I'm a lifer but I pledged additionally last week cause I dig this show so very much. We need shows like this so badly at this time. Good luck with the fundraising Jeff and keep jamming! It gets me a mess of stuff, but best of all gives me the feeling i did the right thing. what's '1 dj premium' on the pledge page? is that the records? Deepest thanks to those who have pledged already. This time of year is a necessary evil. Jeff, do you know if Rachael is singing on this song? I'm curious, it turns out she's played with the band recently, but is old friends with a friend of mine from even way farther back. My DJ premium is called "Lost Strings". It's a collection of rare and unreleased solo acoustic guitar music. 75 dollar pledge gets you the premium, plus a t-shirt, and puts you in the running for prizes im giving away tonight. is the co-host schedule now a classified thing? hi from western mass! i just pledged! Thank you so much for all the killer jams!! Where can I find it, MONEYBAG$? The now-unfathomable board game in the cover shot is (clearly) Go. actually it's semi -classified, you can see it for the next 24 hours on the front page but I don't think the whole marathon schedule is available ? 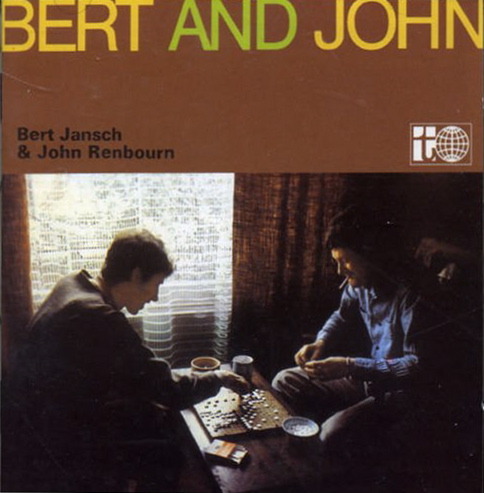 Guess nobody wants this beautiful Bert Jansch 4-LP set??? I can’t play LPs, which a lot of prizes seem to be now. And I have three of the Jansches. But if you can play them, people, they’re great! As it stands now, my Jansch stuff ends at 1980. Would love the box. Someday. My goal this morning is 5000. We're at 3300. Who's gonna stand up?!?! I'm out. But I'll send a couple more $ before turning in. Thanks Jeff and Stan! 120 or more gets you a chance at the Jansch set. Greetings from Mexico, guys! Baja California reporting in. Curiously, Jeff and Stan are the DJs I listen to the most on WFMU, now here you are together. But why does Stan's voice always sounds like he's about to break down and cry? Carla Bley has a piece — I think it’s on Musique mécanique — that that two or three times she has her band play imitation skips. Nice.